Select a Membership Level below and complete the Member Information section using the Primary Member’s contact information. NCSA Affiliate members need to pay dues directly to the NCSA Business Office and not through this link. 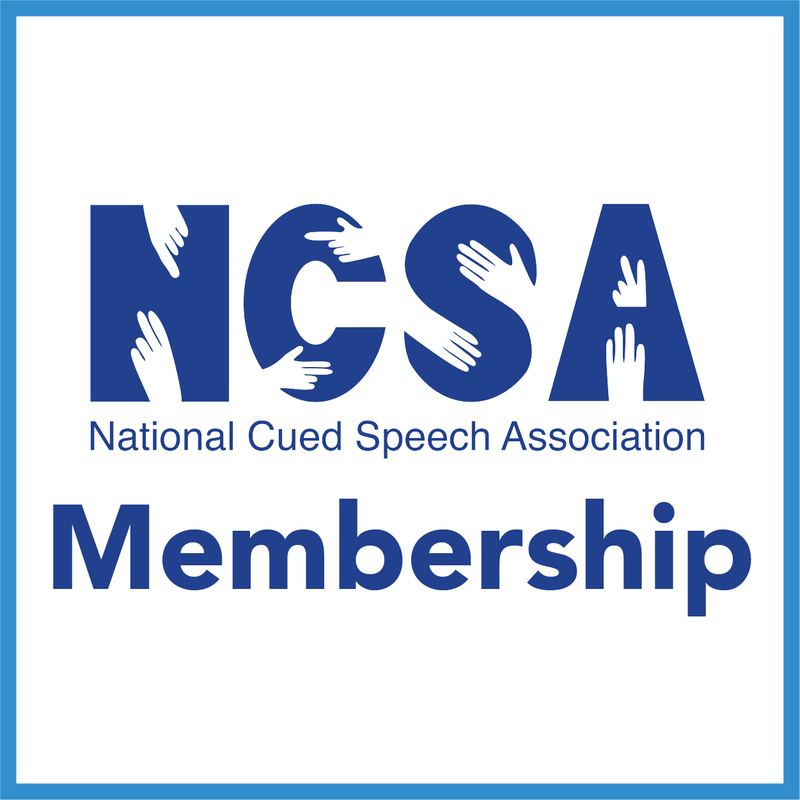 Free 1-year family memberships for newly identified families with children who are deaf/hard of hearing are processed by the NCSA Business office. Requests can be made by email to info@cuedpseech.org. Note: If you are renewing an existing NCSA Membership (even if you are purchasing a different level), please use the same email address used with your previous NCSA Membership. Sponsor Families – Sponsorship for families to learn Cued Speech. Grants – to Cue Camps. Scholarships – for deaf students to attend college with the R. Orin Cornett Scholarship. Family, Group & Professional Education – Educate families and professional regarding the long-term effects of Cued Speech for literacy, language and communication. Educational Programs – NCSA provides resources for educational programs using Cued Speech in the United States and Canada. Cueing Instruction – the NCSA provides free CS instruction twice a year at locations around the nation. National Cueing Standards – the NCSA sets the standard for cueing via assessments and standards. CLEAR – leadership programming for cuers to advocate for themselves. Advocacy – oversight of national and state legislation that affects the lives of individuals who are deaf/hard of hearing as well as advocacy for the rights of cuers. Parents & Professional Organizations – Working Together – With consistent, effective use, deaf children who communicate with Cued Speech develop the language base that enables them to read and communicate with their hearing peers at the same level and use similar reading strategies as if they were hearing. Outreach – via exhibits and discussions at national and state conferences.